So I have recently been putting together a few landing page designs in WordPress for clients using different themes in order to achieve what they need. However when it comes to getting the layout and benefits you need on the page just the way you need it some themes simply do not cut the mustard. Even ones with page builders. It can be very frustrating as a designer not to have the freedom to use a landing page as a blank canvas and put stuff where you want it. But before I mention the best option to resolve these issues lets highlight what a landing page should include. Make sure you determine your offer. Once you have got the offer down to a ‘T’ its going to be all about the content and layout. Here are some of the things to include on the page. Valuable piece of free content in exchange for your prospect’s email address. On your page it may look something like this. This is very common as having an email list is a very powerful tool when it comes to marketing your products and services. Optin form. This can also include other fields such as phone number, services required dropdown, company etc. Testimonials from previous clients or people who have tried and tested the product. Google values you having your contact info whether this is near the top and in the footer of the page. For SEO purposes make sure that the title of your page match the meta data and PPC titles. Also include primary keywords in the copy itself. In the simplest way explain what they are getting. Visuals may help with this. Tell people a little about who you are and what you do, give a company overview or link to your about page if it is part of your website. Create a further link to a popup which is another form for them to get further details. This can be activated as they are about to leave or after a certain amount of time they have been on the page. 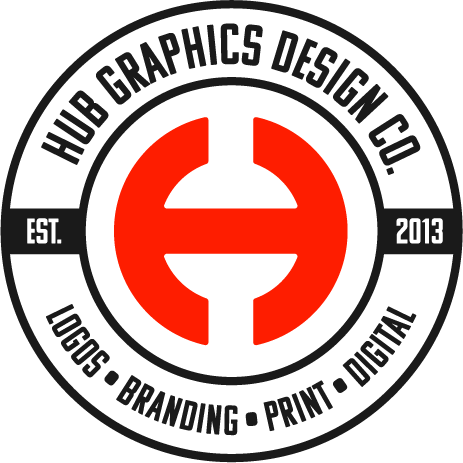 With any web page nowadays you are only going to have a short amount of time to get someones attention, about 15 seconds according to HubSpot. So your copy has got to be top notch. It has to be clear, it should lead and encourage action being taken so dont rush this, get someone else eyes on the copy if that helps as they can put themselves in the shoes of someone who might buy. I find there are plenty of good examples of effective landing pages found on Pinterest for not only the design but links that will lead you through to well thought out landing pages. Think about its length. You can make landing pages reeaalllllyy long but you don’t want people scrolling forever consider less space being used up which will then compel visitors to act. Images can be a very powerful tool when it comes to landing page design. It will benefit you to have a balance between images and your copy. Images can break up the sections of text on the page and they can back up what you have written about. Such as a graph or diagram. See below. Make sure that they don’t detract from the main purpose of getting the person to act. Images of people can also be very powerful especially if these are the people who have given testimonials. Putting a human face or picture of yourself or the person selling the product is really powerful as it will resonate with the customer and make the product or offer more real. Ideally, if you can try and use images of a person looking (or pointing) in the direction of your call-to-action. 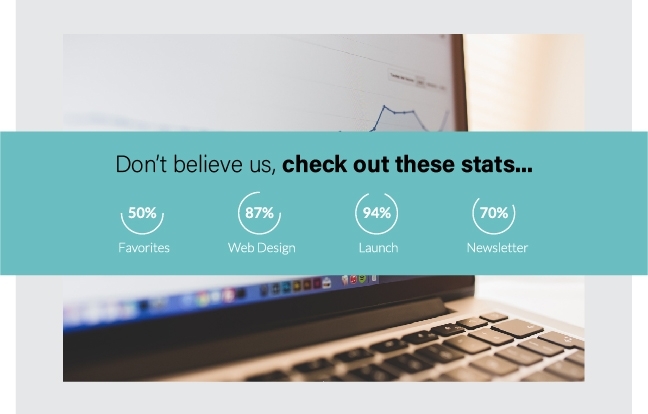 This subtle visual CTA can often lead to even higher conversions. 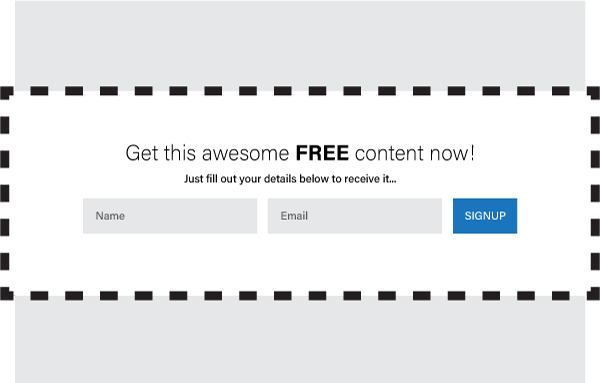 So now you have a good outline of what your landing page should include. How can you actually create an awesome landing page in wordpress? My recommendation is Divi - By Elegant themes. Why I hear you say? As I said at the beginning of the article its like a blank canvas. The options and versatility you have is amazing. You can remove the menu and footer and have blank pages so they act as if independent from the rest of your website. This will aid you in directing peoples navigation on the page as well. You can easily have a menu which is static and can move down to the relevant sections of the page when clicked. I know other themes do this but not with such ease. It takes the headache out of forcing the theme to do what you want so you can crack on and design the thing. Bonus! If you are a designer or someone who is looking to build a WordPress website and create landing pages I would seriously suggest checking out Divi, there is a huge community behind it now and is just going from strength to strength. I know there are other options when it comes to using page builders to create landing pages in wordpress. Wpbeginner has a good article about using the beaver builder to create a landing page. I know Visual Composer is another but not one I would recommend, the visual aspect to this is not very smooth and can be quite frustrating to use. Anyway, comments welcome as to what works for you. Make sure you check out Divi as well. Finally here is a layout of a landing page including all the elements mentioned above.